Click 'Download the Bulletin' for additional mass times. Recommended Mass Centers A list for use when traveling, or for those who do not live near Cincinnati. Blessed Easter Sunday, and every grace of the Resurrection of Our Savior to you and yours. It has been, as usual, quite a Holy Week, which leaves us exhilarated and sanctified, exhausted and spiritually refreshed by the annual carrying out of the ceremonies of Our Lord’s Passion, Death and Resurrection. But most of all, I must say, we feel grateful. And is not thanksgiving one of the four ends or purposes of the Holy Mass? the grass, while we sang the Gloria Laus at the church doors, waiting for Heaven’s gates to be opened by the Holy Cross. Thanks to the Divine Infant and Our Lady and the angels and St. Scholastica for the good weather. On Monday we had the shocking news of the burning of Notre Dame Cathedral. Stephen Heiner shares some of his thoughts in today’s bulletin: It seems supremely prophetic, this fire at so great a church. How long has it been since it was used for the purpose for which it was built? Now this magnificent cathedral serves only some Novus Ordo or nationalistic, or nostalgic, emotional ends, but sooner or later won’t all of the churches in France go to Moslems or be burned down? France, behold your future, a terrible punishment or your loss of Faith, you who were once the eldest daughter of the Church. The poignant Lamentations of Holy Week make good background music for this sad reality. The young Fathers are out and about doing just that. Fr. McGuire leaves this afternoon to bring Holy Mass to Effingham in Southern Illinois. Fr. McKenna leaves early tomorrow for North Dakota and his mission circuit. 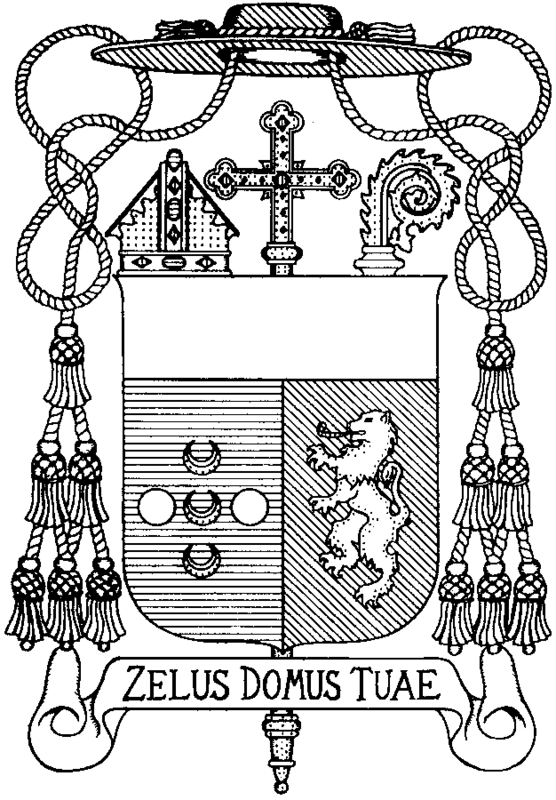 God bless their priestly zeal. Many of you will be resting this week after all the exertions of Holy Week, but remember the Mass, always the Mass. May the fruit of your Lent be an increased, intensified devotion to the Holy Sacrifice, both weekday and Sunday. Thursday we have the Greater Litanies, and Friday is the feast of the Mother of Good Counsel. May Our Lady counsel, protect and provide for us all. 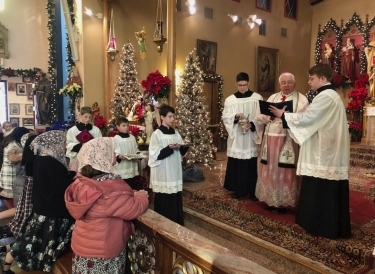 St. Gertrude the Great Candlemas 2019 Newsletter is now available. On the Feast of the Holy Innocents, children were blessed and given a special medal.